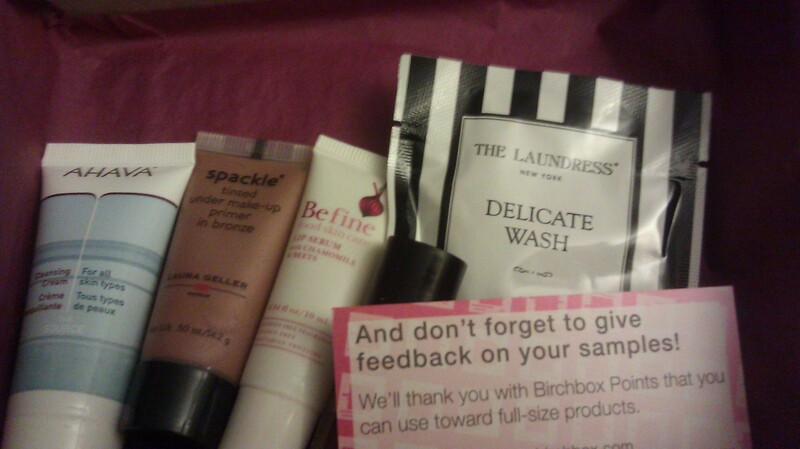 I’m a little late with this post but here are the goodies I received in my October Birch box. If you are not yet familiar with Birch Box, it’s a monthly beauty subscription service that is just $10 a month that you can cancel at anytime with no penalty. Based on a beauty profile that you fill out upon subscription, you will receive 4-5 deluxe beauty products a month. Ahava Rich Cleansing Cream: Just like it’s name suggests, it’s a rich hydrating cleanser that leaves my face feeling soft and supple. Befine Lip Serum: This serum claims to heal dry, cracked lips. It is allergen and paraben free and has ingredients like beets and chamomile. It makes lips for hydrated for several hours and is just the right amount of thickness. 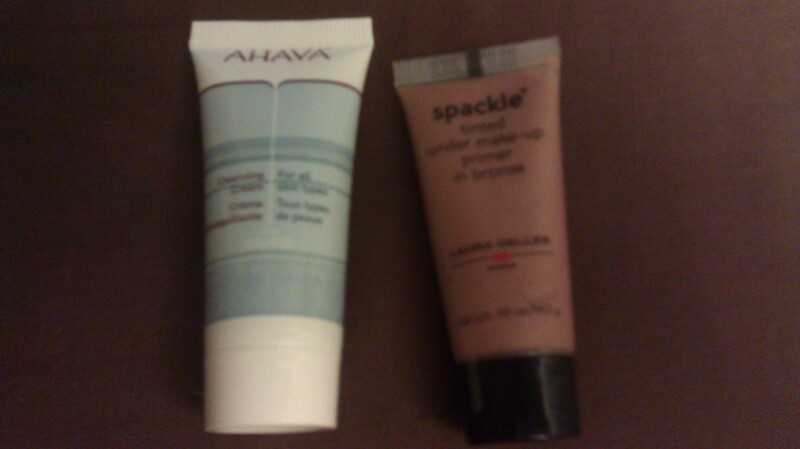 Laura Geller spackle and lip primer in bronze:It’s a hydrating primer with a subtle glow. I’ve only used this twice because I’m too lazy to use a primer. Isn’t that what day cream is for? I certainly don’t need to be bronzed either. I didn’t see any difference in my make up when I put it on but maybe that is because I’m already bronzed. My friend that has much lighter skin gave it rave reviews though. 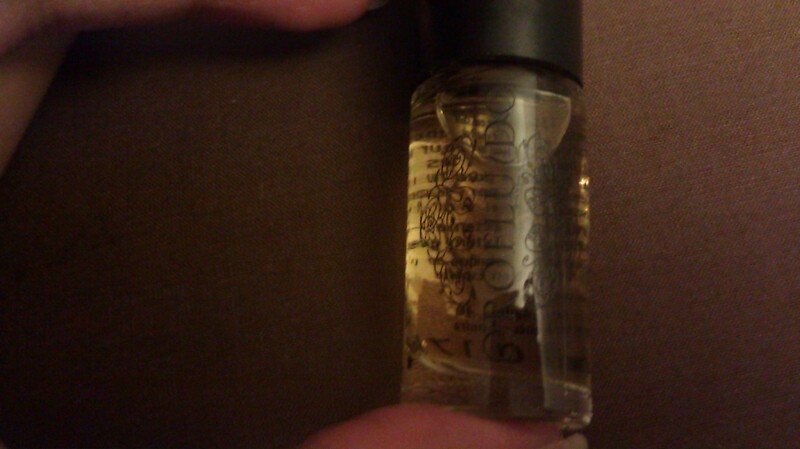 Orofluido Beauty Elixir: This is a hair treatment with argan and linseed oils. I have not used this yet because I have so much hair that samples are never big enough but I plan on mixing it with another hair treatment. 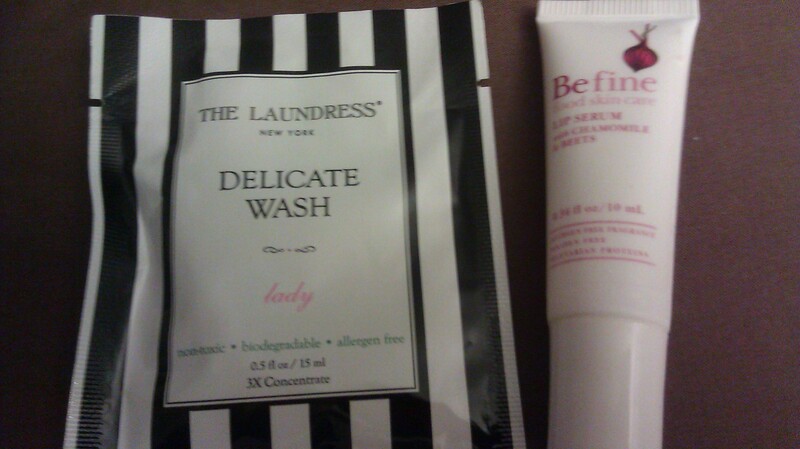 The Laundress Delicate Wash: This cleanser came in a cute little packet and made my unmentionables soft and fresh. I was nervous the packet wasn’t big enough so I put a little laundry detergent in too. 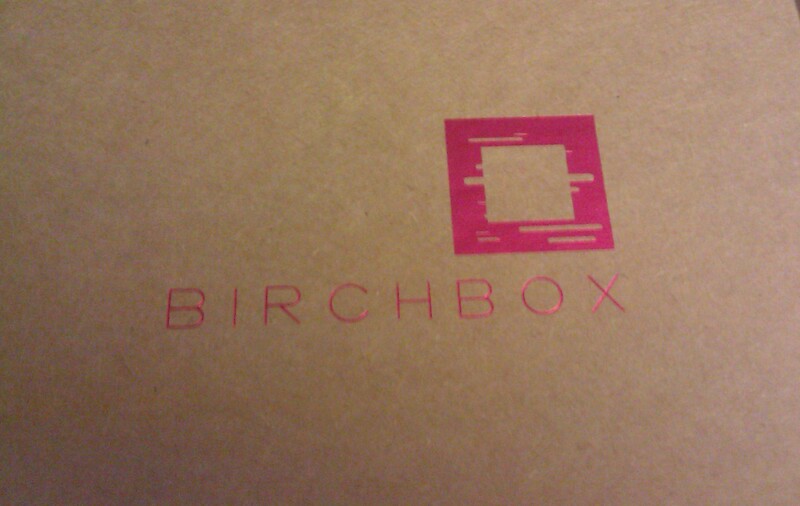 For more in-depth info about Birch Box, check out previous posts or head on over to Birchbox.com.